Knights had looked to be on course to become only the second side to lower Ealing’s colours at home in 11 months when leading 21-14 at the break but the big-spending London side dominated the second half for long periods scoring three tries without reply. “I couldn’t believe what I was seeing at times in the second half; It was like watching a different side.” said the Welshman. “Even though we had the wind our kicking game was poor and the number of mistakes, in areas we’d worked hard on in recent weeks and seen an improvement, were horrendous. “With no disrespect to either team you can get away with missed tackles against the likes of Hartpury and Richmond but not against a side as good as Ealing. I tried to freshen things up with a couple of substitutions but on this occasion it didn’t work out. 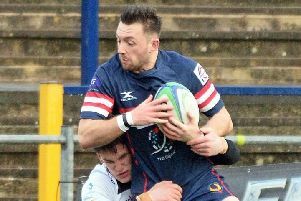 “We knew that they were in good form having thumped Yorkshire Carnegie and Nottingham in their last two games but so were we and we felt we had prepared well. 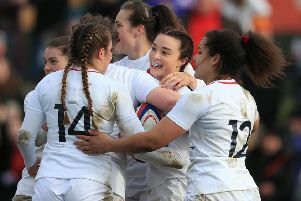 Griffiths had seen his charges concede two early tries -one of which involved an interception – prior to stunning their promotion-chasing hosts with three unanswered tries during a ‘purple patch’ in the second quarter.